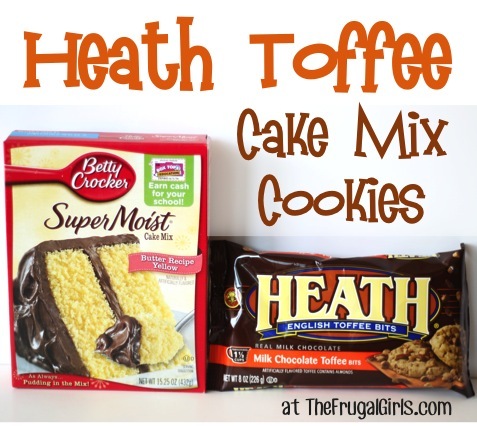 Cookies Made From Cake Mix – Heath Toffee! 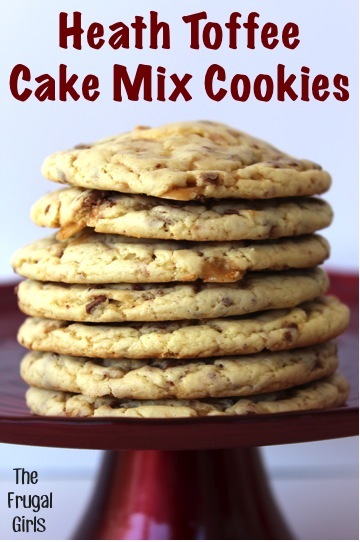 These Heath Toffee Cookies Made From Cake Mix are absolutely amazing! 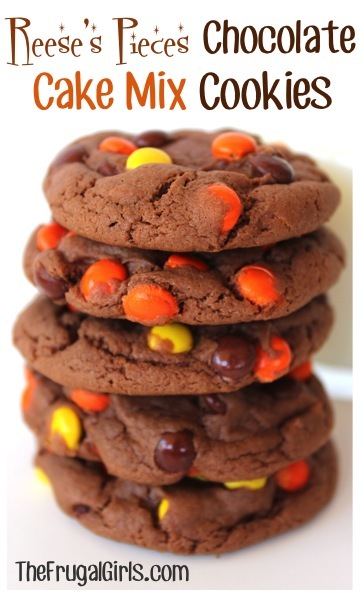 If you like Heath bars, you’ll LOVE these Heath Toffee Cookies Made From Cake Mix! 90 Christmas Dessert Recipes – Best Easy Recipe List! These also make a super-simple Gift in a Jar that’s sure to please! 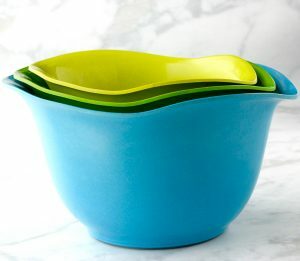 Combine cake mix, eggs, and oil in large mixing bowl, and beat well. Stir in Heath Milk Chocolate English Toffee Bits baking chips. Chill dough in refrigerator for 1 hour. 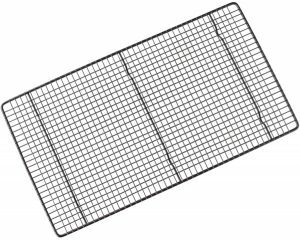 Drop onto ungreased non-stick cookie sheet in rounded balls. Bake for approx. 7 – 9 minutes, or until done. ENJOY! 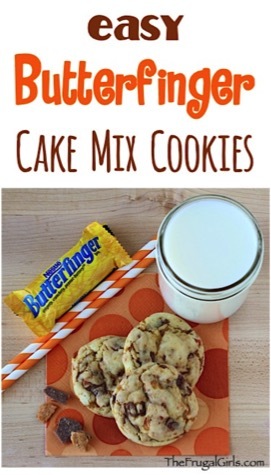 Satisfy that Butterscotch craving with this yummy Butterscotch Cake Mix Cookie Recipe! 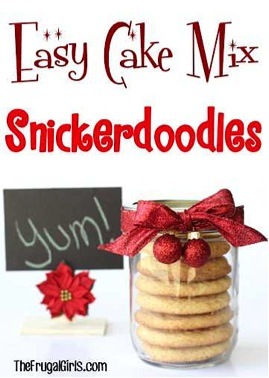 This Snickerdoodle Cake Mix Cookie Recipe is here to the rescue!! Everything is better with a Butterfinger! 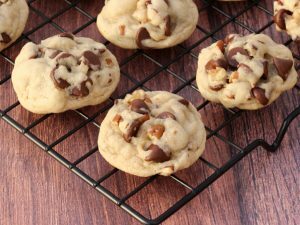 Prepare yourself for some chocolate nutty delight with these decadent Butter Pecan Chocolate Chip Cookies in the oven! 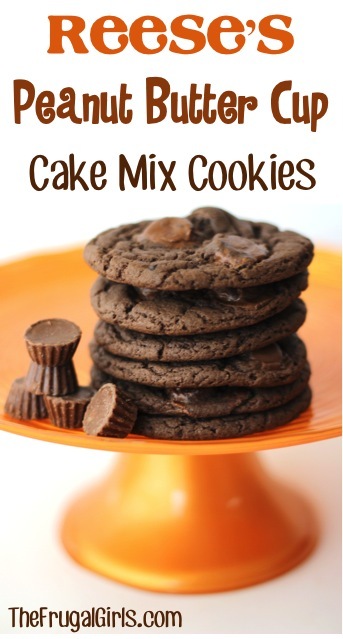 Grab the Reese’s Pieces, grab the Cake Mix… and get ready for chocolate peanut butter bliss! Now get ready for the cookie that will make your tastebuds smile ~ these cookies are seriously delicious, and perfect for a fun Party or Cookie Exchange! 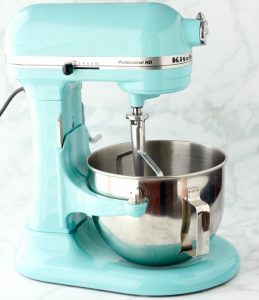 Are you ready to bake? 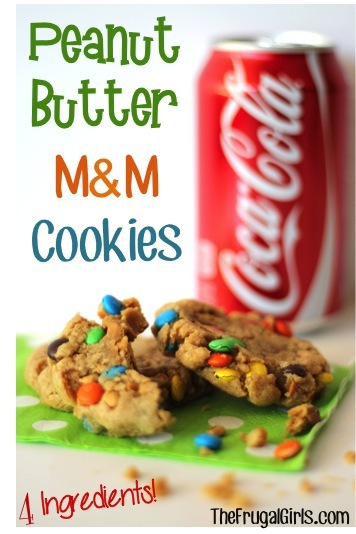 Get some coconut infused into your cookies with this yummy M&M Cookie Recipe! 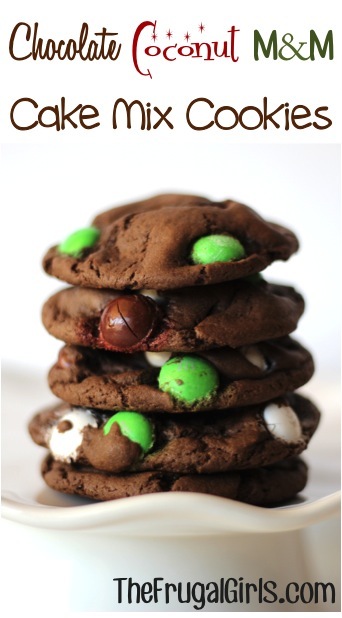 Craving cookies? 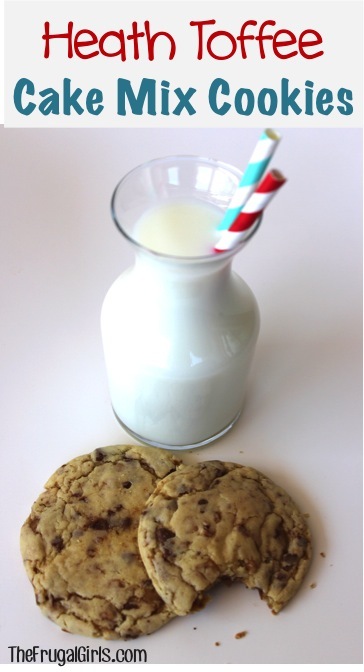 Here’s a quick and easy 4-ingredient recipe to satisfy your cookie cravings! 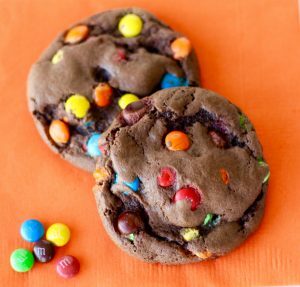 This BIG List of Easy 4 Ingredient Cookie Recipes is here to inspire every Cookie Monster, big and small! 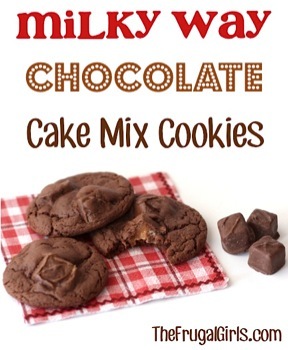 If you’ve got Cookie Monsters lurking around your house like I do, it’s time for some Cake Mix Cookies Recipes to the rescue! 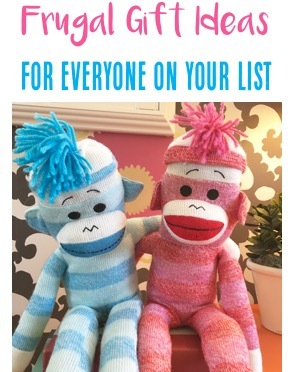 Score frugal gift ideas for the Kiddos, Teens, Dad, Grandma, Grandpa, Co Workers and more! Can you make these as cookie bars? If so, how long should I cook them? Mary, the only thing I can think of about the time is that maybe your oven was still set on preheat? But about the flatness of the cookies- you should leave the cookies in the oven for ~9 minutes, then when you take them out, allow them to cook a little more by leaving them on the pan for about 3 minutes. Then you can transfer them to a cooling rack. Hope this helps!! 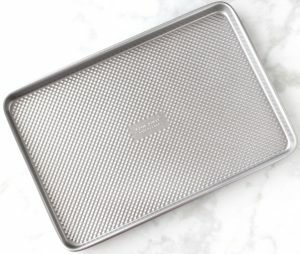 Not a baker so need help. 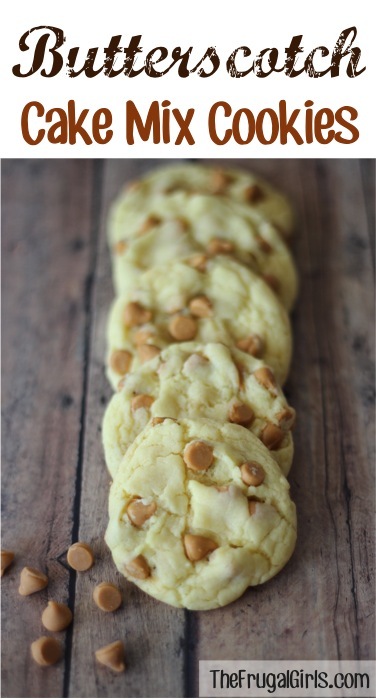 MAde Heath Toffee cookies… Mine did not flatten out and took 20 minutes to bake. I double checked my oven and was 350. They were still VERY good, but would like flatter so not quite so chewy. Any help anyone. Thanks. Just wondering if you preheated your oven. It needs to be at 350 degrees when you put cookies in to cook. I use unsweetened applesauce instead of oil. It give the moistness that’s needed without the fat.